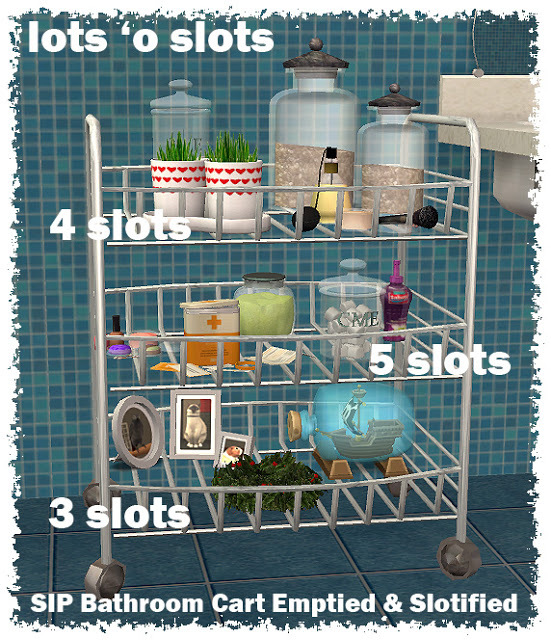 Description: Bathroom cart with slots. 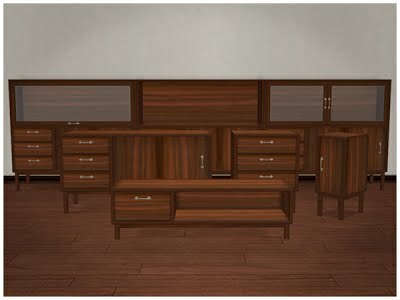 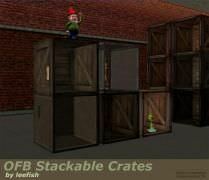 Description: Wooden storage furniture set. 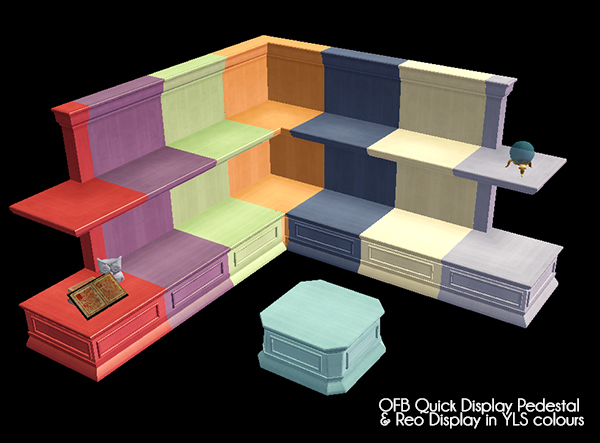 Description: OFB Quick Displays' recolours in YSL. 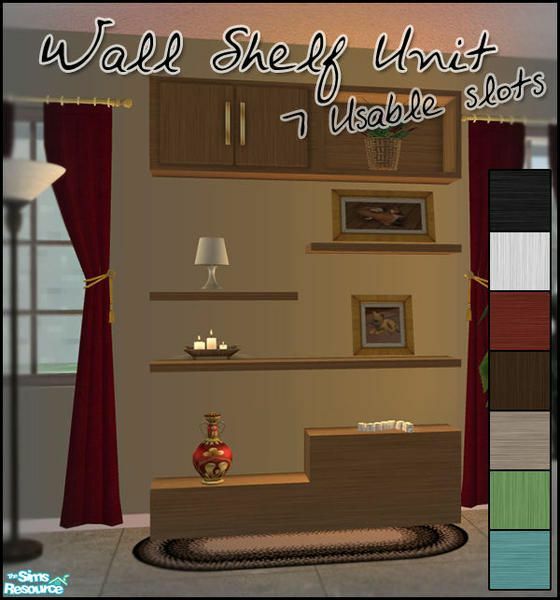 Description: Wall shelf unit with 7 slots. 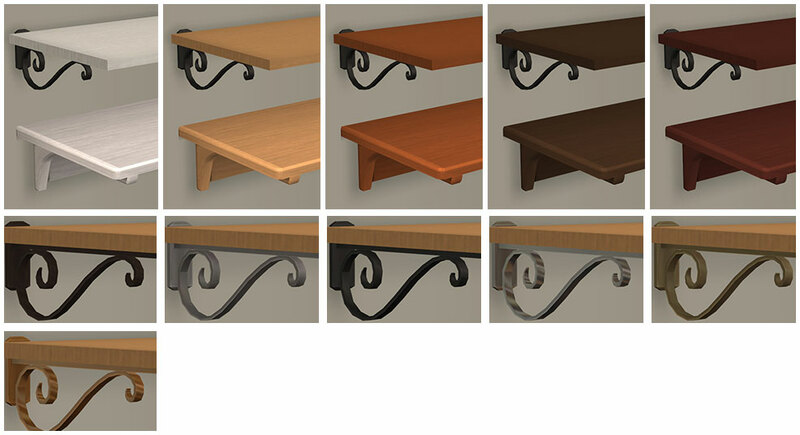 Description: Small box shelf in 9 colours. 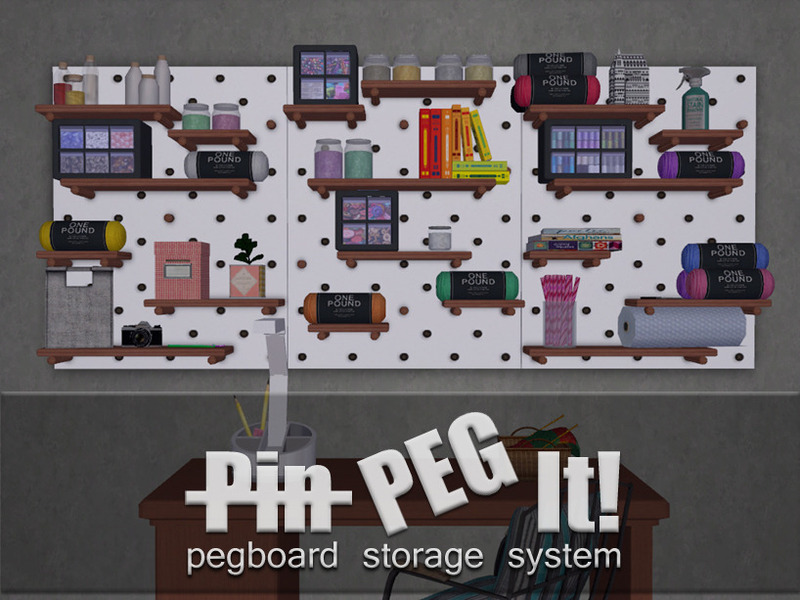 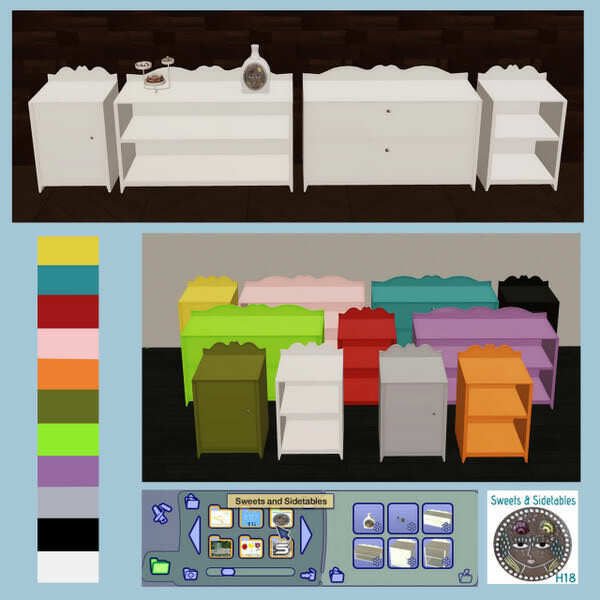 Description: Kitchen shelves with a lot of recolours. 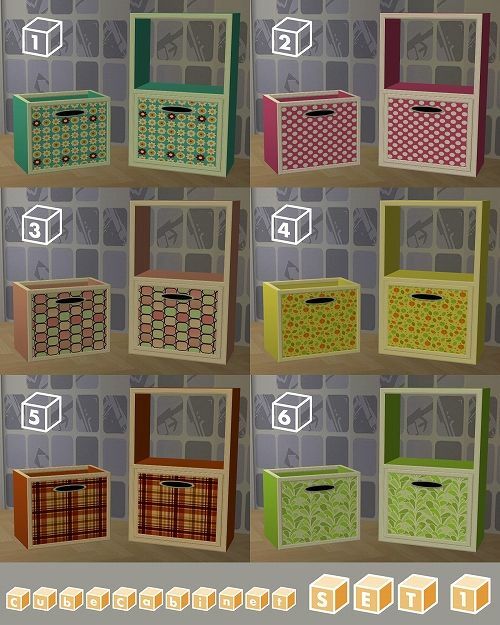 Description: Cute recolours of karaskaras' cabinets. 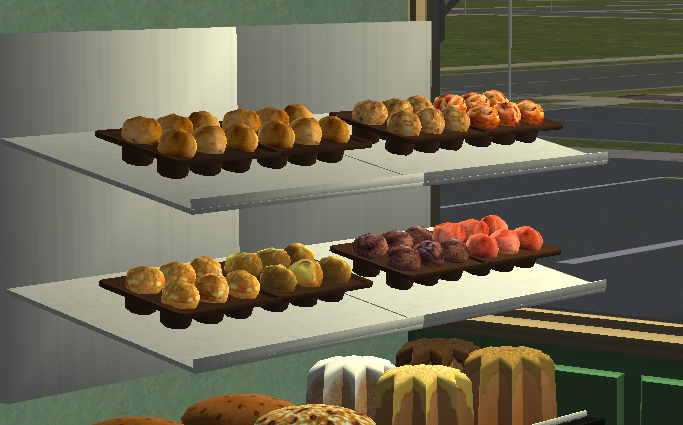 Description: Sweets & Sidetables is a set of 4 different sidetables, a modern (decorative) cake tray, and a funny vase. 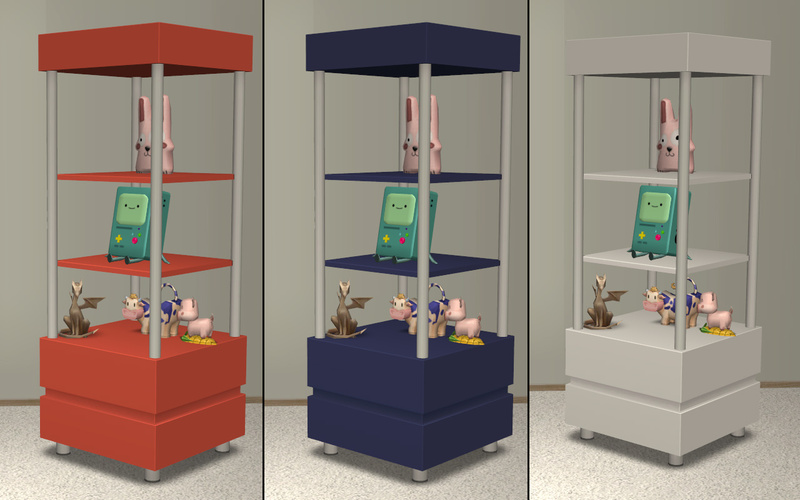 There are 10 recolors for all meshes in matching shades. 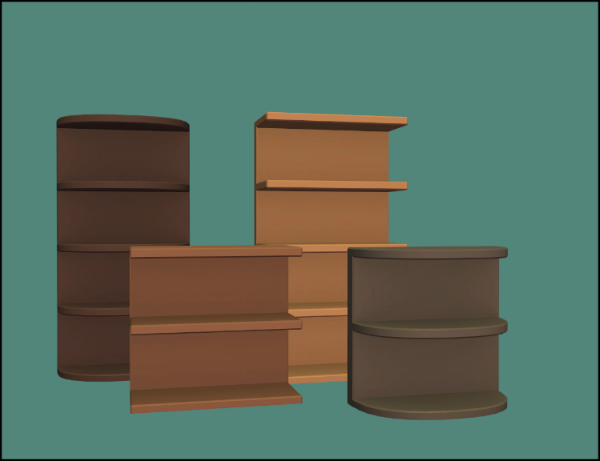 A collection file is included. 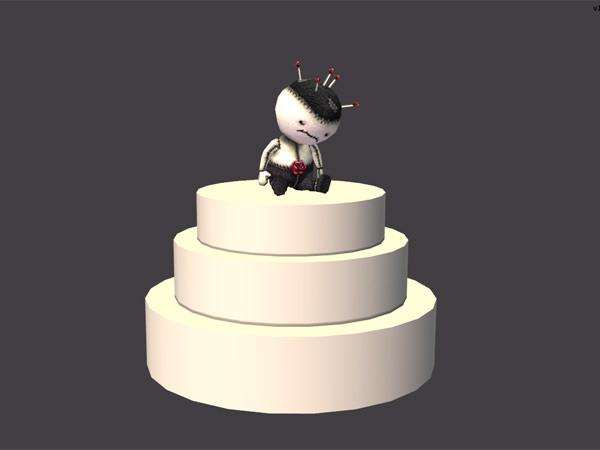 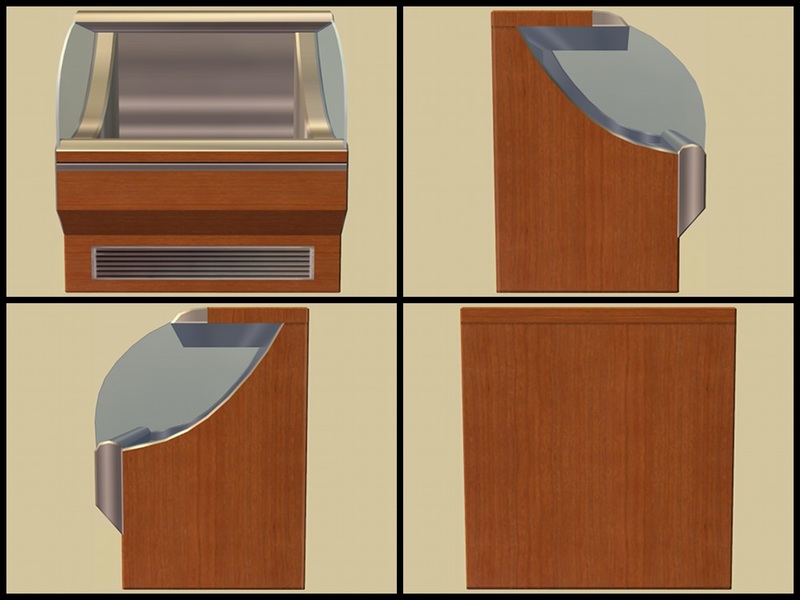 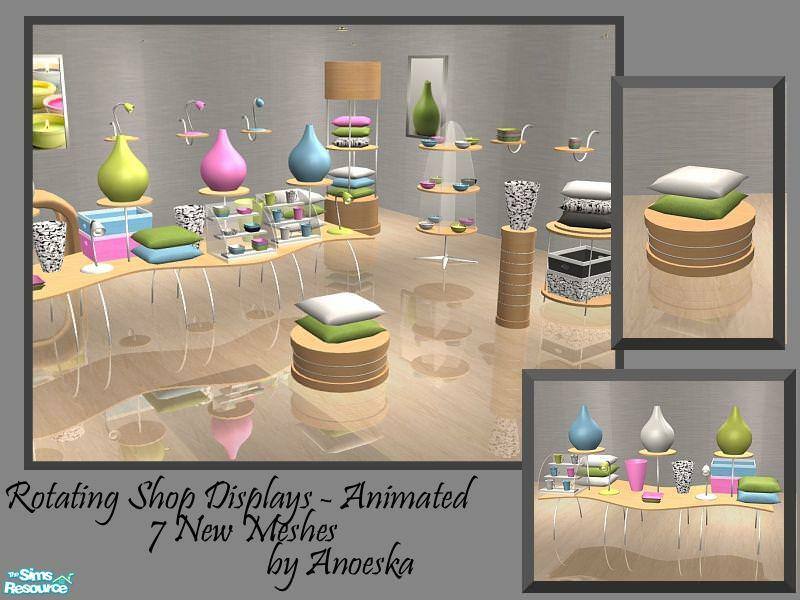 Description: Rotating shop display set (animated). 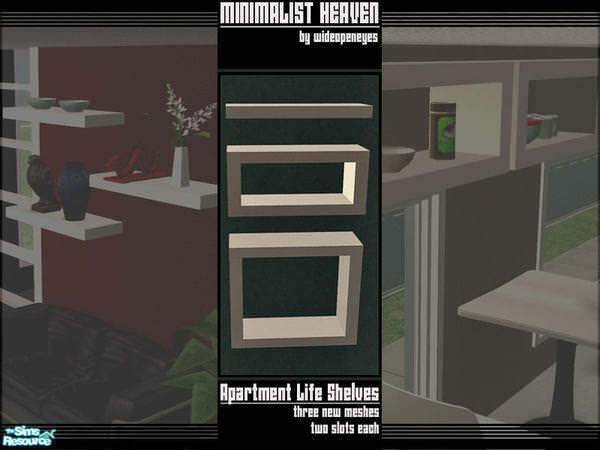 Description: Minimalist heaven wall shelving set. 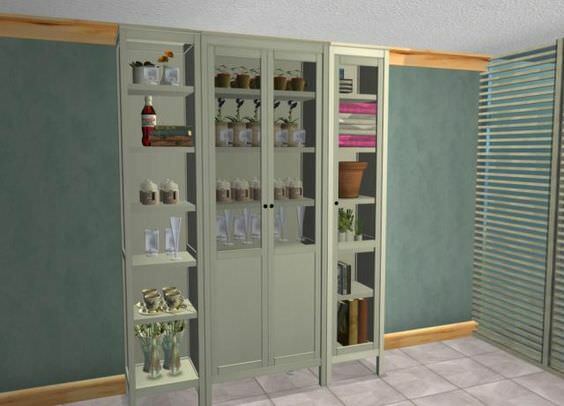 Description: Ikea Hemnes storage set. 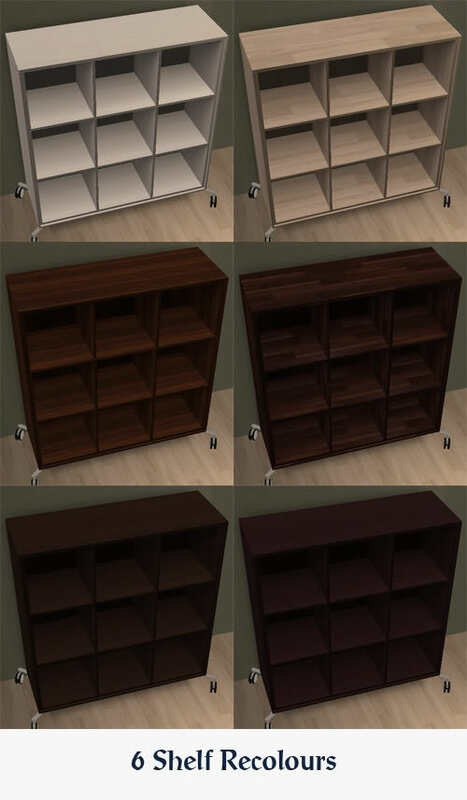 Description: Shelving unit in several colours. 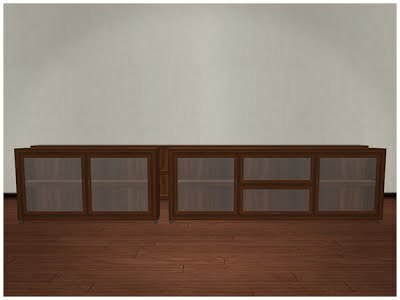 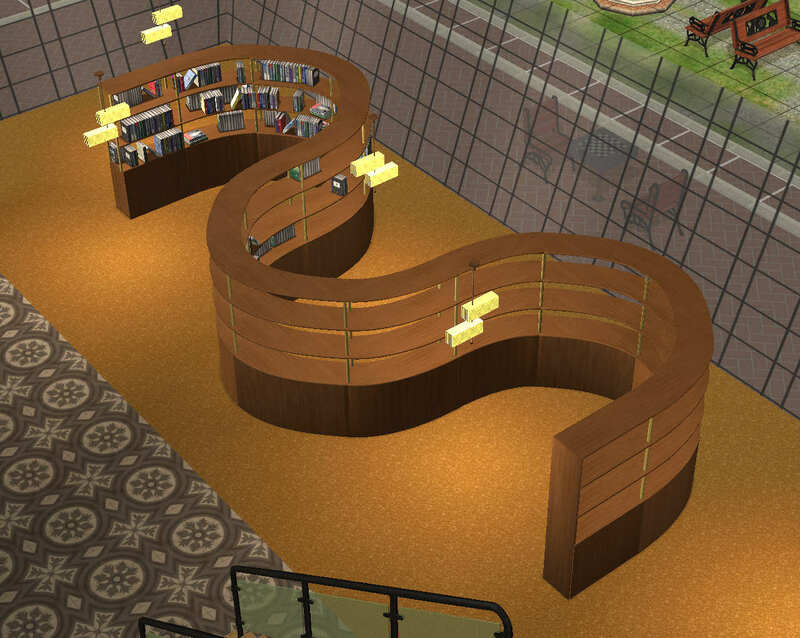 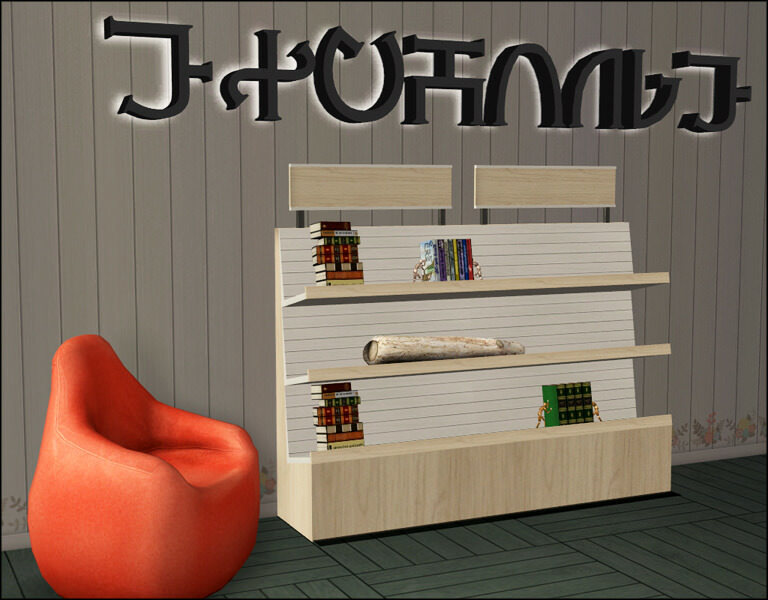 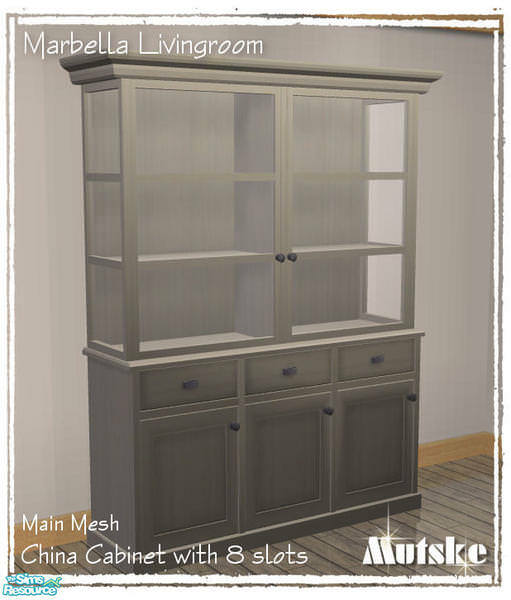 Description: Recolours Veranka's 3t2 Roaring Heights bookcases and shelves in Icads' woods and Shastakiss' pirate woods. 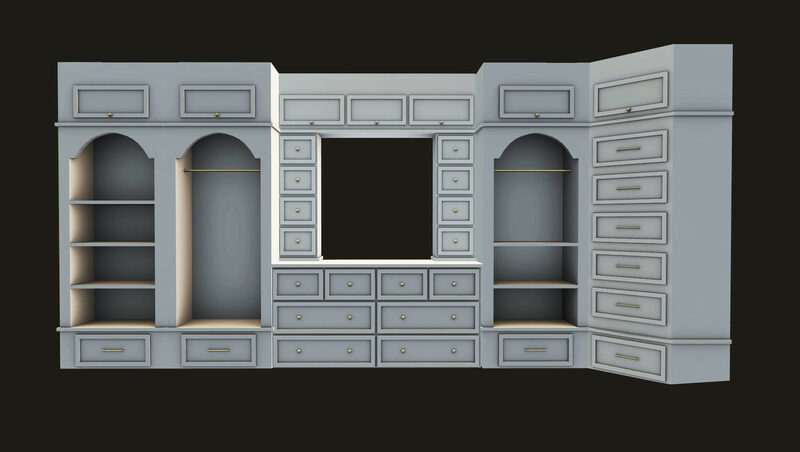 Description: Built-in closet and shelves.